3 more days until Turkey Day! Why is this lady-pilgrim-pin-up riding a gigantic turkey so happy?? Because she’s discovered a real crowd-pleaser of a cocktail: The Holiday Highball! I, personally, have tested the popularity of this Vodka/Cranberry/Ginger combo on a number of crowds big and small, recently, and I’m here to report, the lady-pilgrim-pin-up is on the money. You can’t go wrong with this tall glass of delight. If you are unable to find the divine Barrow’s Intense Ginger Liqueur, you can substitute it for the ginger syrup that I know you’ve all made already. It will be a little less boozy, but will result in a similar flavor profile. If, however, you’re more of a Gin drinker, and you have notions of switching out the primary booze because you turn your nose up at the most popular girl in school – Vodka…well, first of all, get over it, second of all, you’re missing out and third, you have to realize that it’s cocktails like this that are MADE for the clean, neutral taste of vodka, like Industry Standard Vodka, from Brooklyn’s Industry City Distillery, distilled from sugar beets. 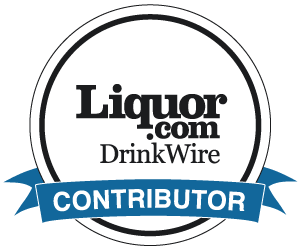 I know, whiskey and gin have a sexier reputation as of late, but there’s room in the cafeteria for everyone – the cool kids (whiskey), stoners (um), goths (bitters), jocks (Jäger), princesses (vodka) and theater nerds (coconut water). (I just watched Breakfast Club again recently and this analogy couldn’t be helped. Sorry!) Disclosure: I was a teetotal-ing theater nerd in high school. Surprise! The Holiday Highball is the homecoming queen of cocktails. But don’t hate, Judd Nelson. You know you’re gonna fall in love.